Orange County home prices hit record high once again. Spoilers: They’re still not reaching housing bubble peaks of 2007. 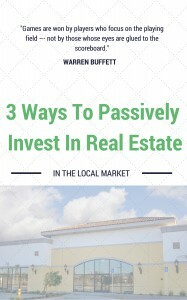 But what does this mean for real estate investing? Steady growth is always good for long term investments but be speedy growth can be a bit more risky. Jeff Collins writes an informative piece for The Orange County Register. Orange County home prices set records again in April amid one of the hottest spring homebuying seasons since the housing recovery began five years ago, new data released Tuesday show. Despite a lack of homes to buy, strong demand continued to push sales upward as well, especially in the new housing tracts where builders were experiencing their best April in 14 years. The median price of an Orange County home — or price at the midpoint of all sales — hit $675,000, the fifth record in the past year, according to real estate data firm CoreLogic. Home prices were up $30,000 in the past year and have climbed $285,000 since the market turnaround in February 2012. That’s a 73 percent gain in five years. Condo prices also reached record highs for a second straight month, rising 7.3 percent in a year to $478,000. That’s up $3,000 from March’s record price and was $8,000 above the high reached during the housing boom. Last month’s existing single-family home median rose to $733,000, $1,000 below the 2007 high of $734,000. “Job and stock market growth, coupled with low mortgage rates and strong consumer confidence, continued to drive housing demand and keep pressure on prices,” said Andrew LePage, a CoreLogic research analyst. Median home prices also set a record in San Diego County, rising to $525,000 in April. Los Angeles County’s median of $550,000 tied a record set a decade ago. The regionwide median of $485,000 was just $20,000 — or 4 percent — below the record $505,000 reached in 2007. Once inflation is taken into account, however, home prices lag values from the bubble days of 2007. Orange County’s April median, for example, remains $85,666 — 11 percent — below the price peak when adjusted for inflation. Southern California’s median remained 15.7 percent below the peak in inflation-adjusted dollars. Still, Orange County’s median has risen year-over-year for 60 straight months. Rising prices and fierce competition between homebuyers failed to put a damper on sales, however. CoreLogic reported 3,309 transactions last month, 22 more sales than a year ago and the third highest tally for an April since 2006. New home sales accounted for most of that increase, while resales of existing homes appeared to be declining. April had 2.8 percent fewer resales than a year ago. But last month also had fewer business days, in part because of the Easter holiday. The average number of sales per day actually went up 11 percent from a year ago. Homes that are priced right and are in move-in condition are getting snapped up fast, often within two weeks or less, agents said. Asa Teran of International Real Estate Services in Covina listed a La Palma house for $650,000, accepting one of eight offers within four days. The four-bedroom, two-story house closed at $670,000 on April 28 — $20,000 above the asking price. Mortgage interest rates also continue to tempt buyers after dropping in late March, agents said. Rates have been holding steady just above 4 percent for the past five weeks. Some buyers are resorting to writing “love letters” to sellers — that is, letters describing how much they love the home and how they plan to take good care of it. One of Rael-Albin’s clients enclosed a photo of herself and her husband holding a sonogram of their expected child. New home sales are even hotter, rising 28.7 percent year-over-year to 466 transactions. That’s 13 percent above the average for an April in records dating back to 1988. One reason is builders are building more, said Pete Reeb, a principal at Irvine-based John Burns Real Estate Consulting. The number of actively selling projects is up 18 percent from a year ago, Reeb said. Projects have increased in the Inland Empire as well. “But new home sales have increased faster,” he said. Overall, job growth is strong, interest rates are lower than four months ago and wages are up. “I think from an affordability standpoint, the market is a little bit stronger than it was four or five months ago,” Reeb said. Luxury homes — those selling for $1.25 million or more — are a relatively cool part of the market, according to Steve Thomas of ReportsOnHousing.com. Thomas calculated it would take 90 days or more to sell all the luxury homes on the market at the current sales pace. By comparison, homes listed for $750,000 and under would sell out at the current sales pace in 37 days. A buyer’s market exists for homes priced at $1.5 million and above, Thomas said.